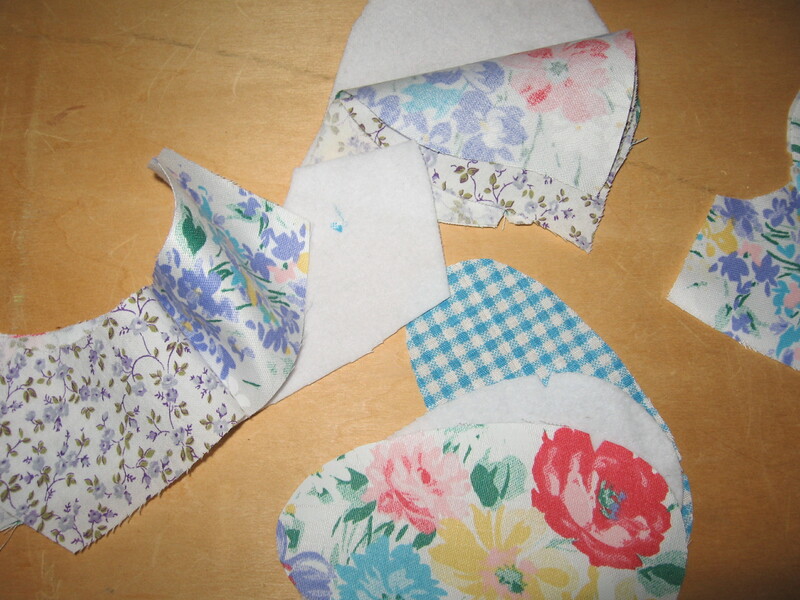 Some pairs have distinct right and left design preferences (as in: pink roses on outside flaps), others are less distinguishable. 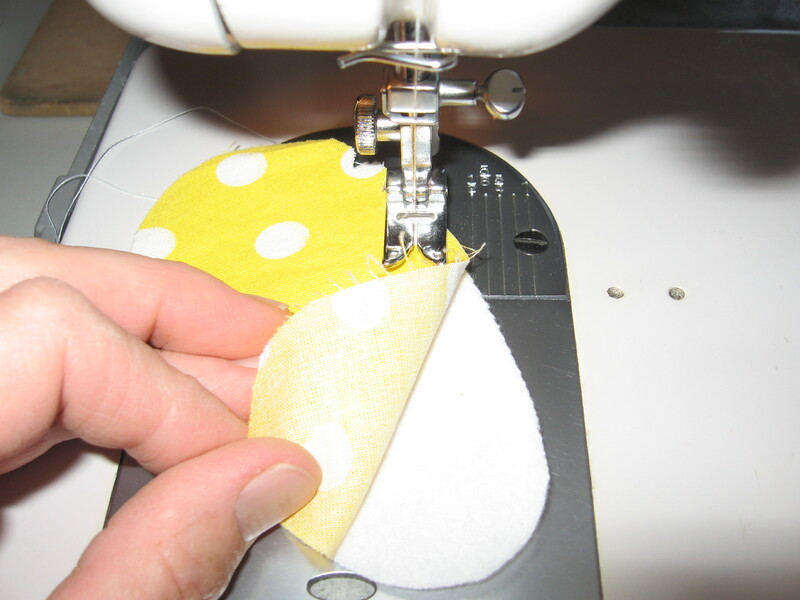 Attention to detail is what will make them custom and unique, this gives them a value-added quality. 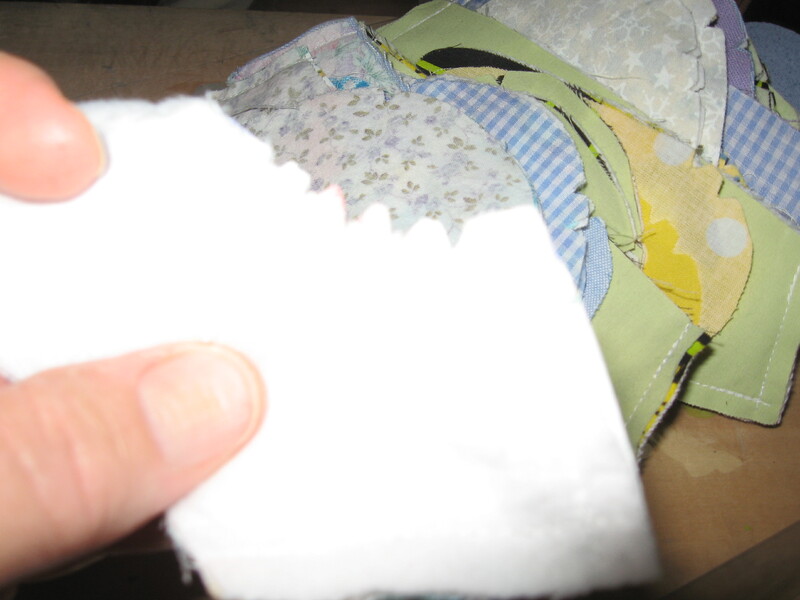 Attaching the layers to each other. 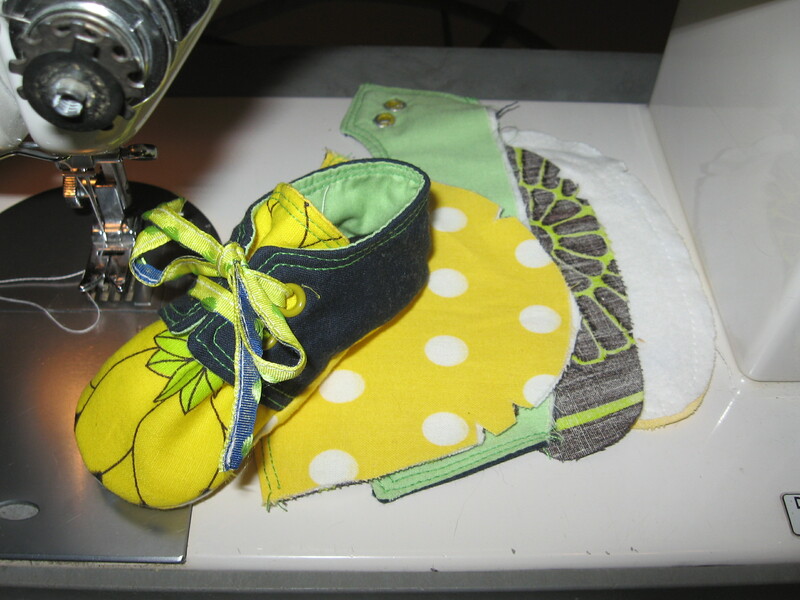 Attaching the interlining to the sole of the shoe. 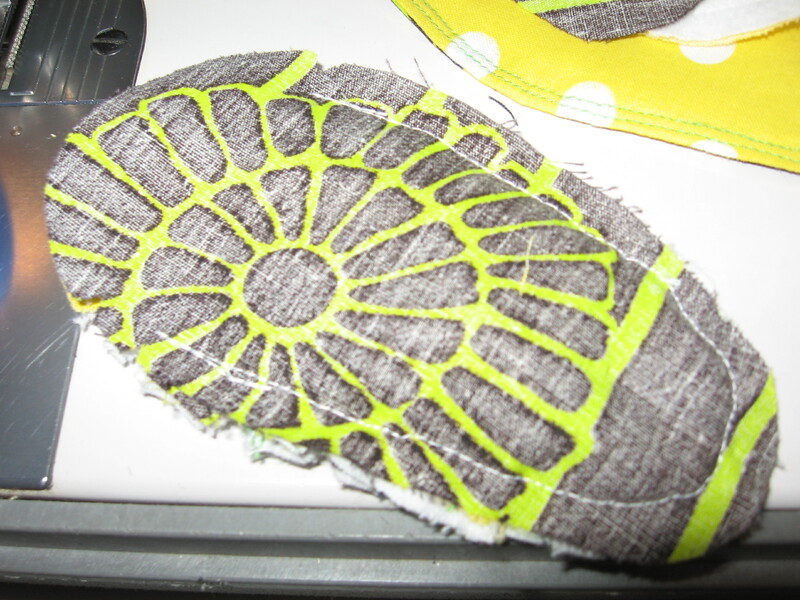 This is the outside of the shoe, the inside “sole” piece will be the last to be attached before turning it right side out. 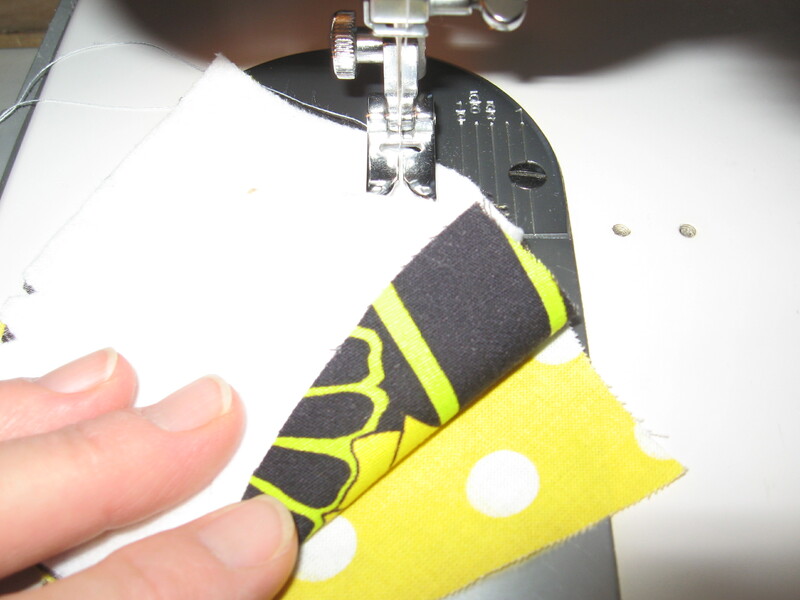 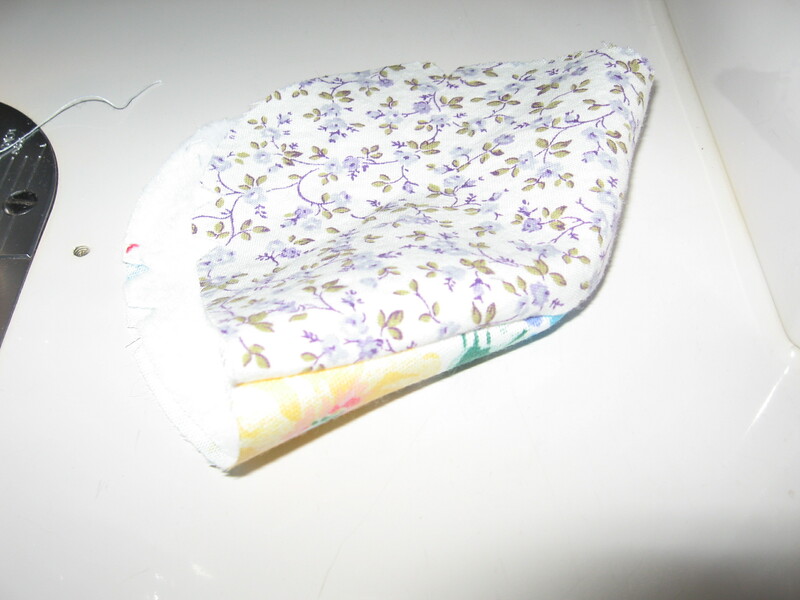 There are “tricks” to sewing that come with practice. 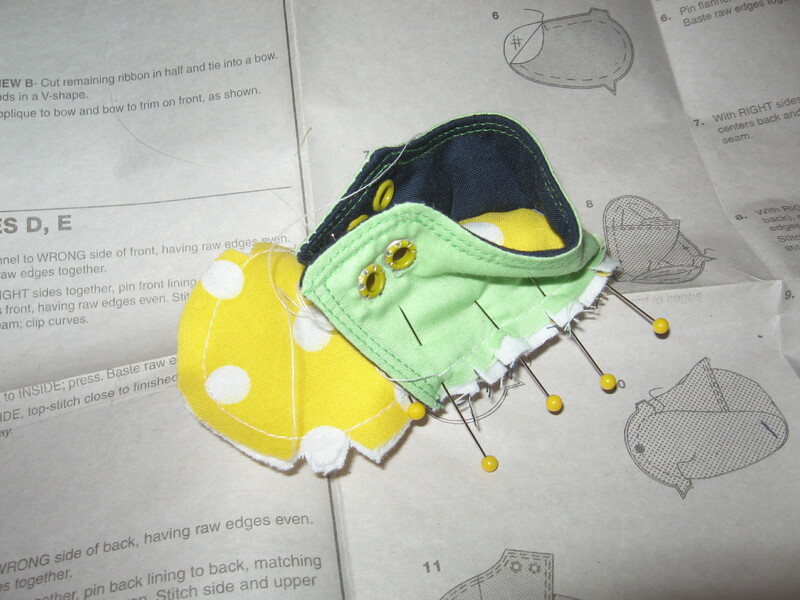 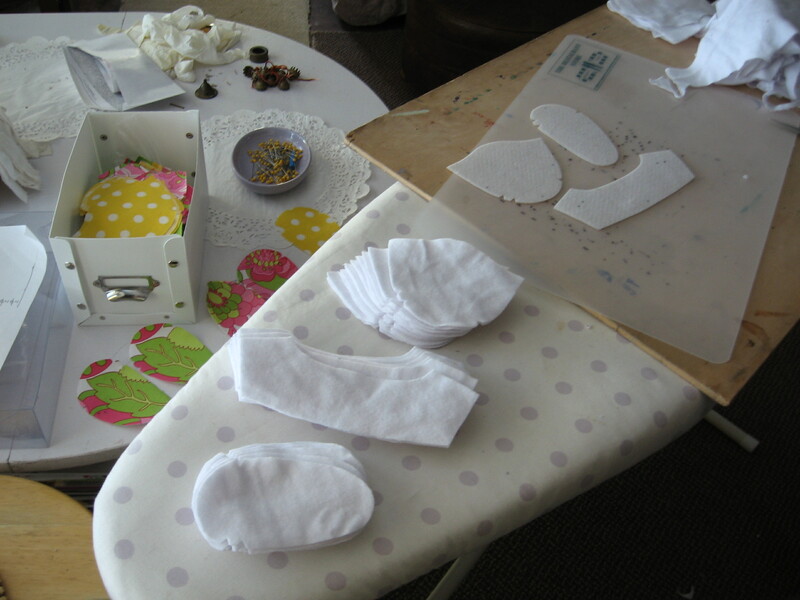 Toe layers, one, two three (interlining to wrong side of face fabric), polka-dots will be the lining. 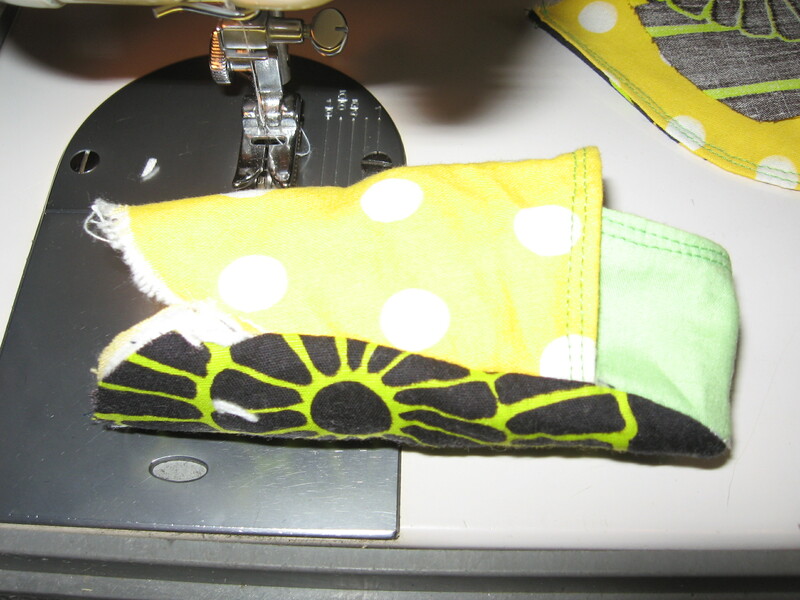 After clipping notches in the curves so the seam will not pull. 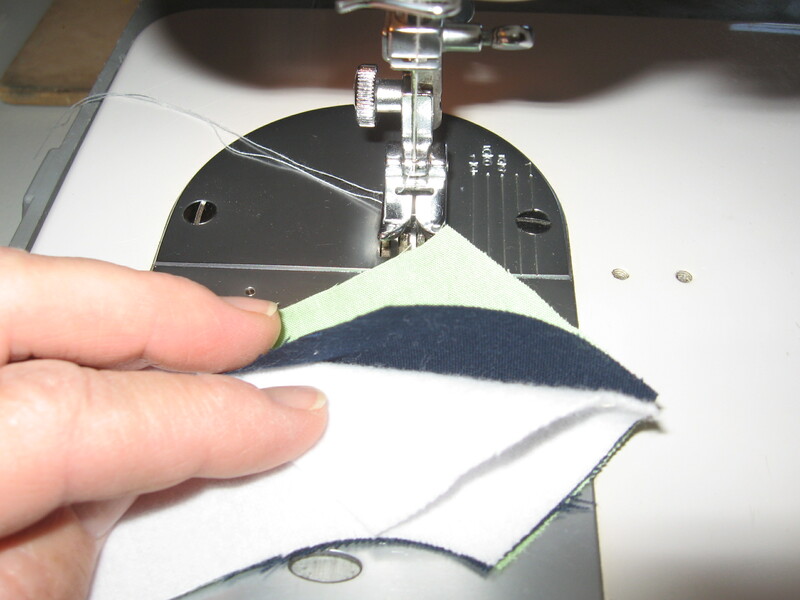 Stitching heel layers together, interlining on wrong side of face fabric. 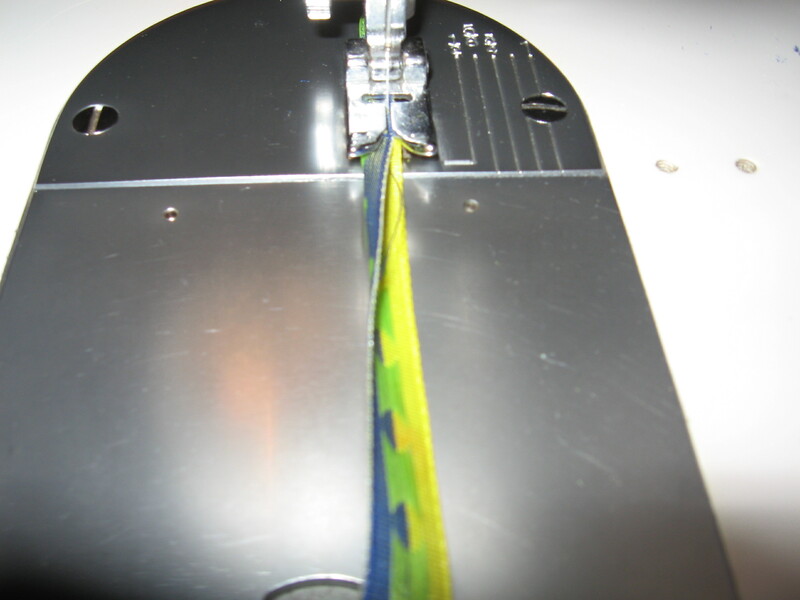 Clip out notches on the concave curves, careful not to go through the seam. 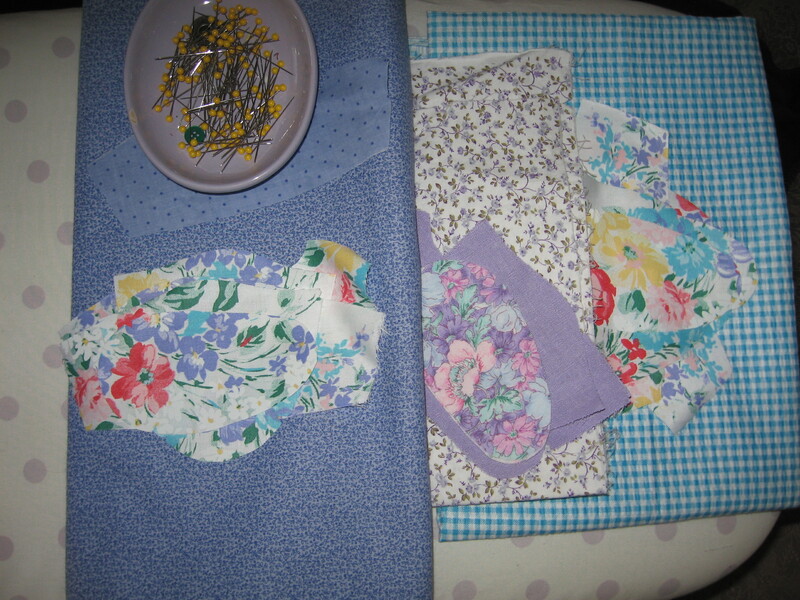 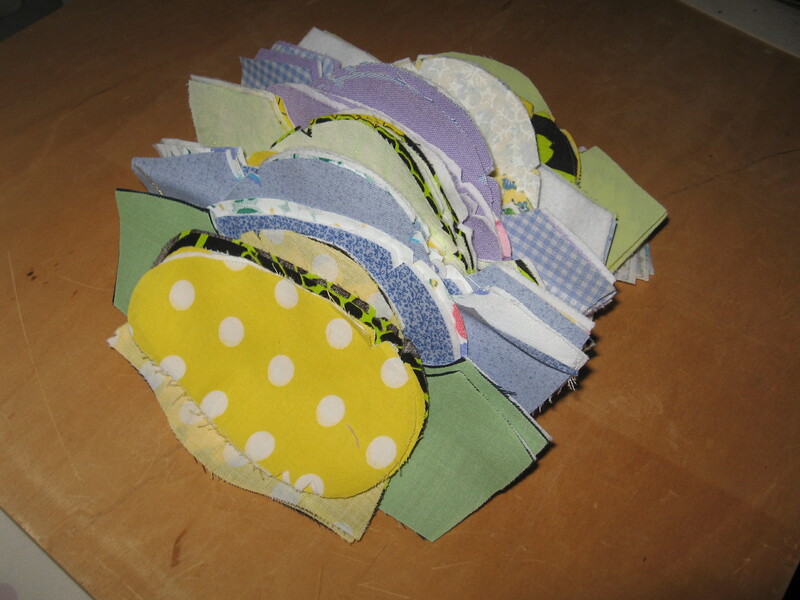 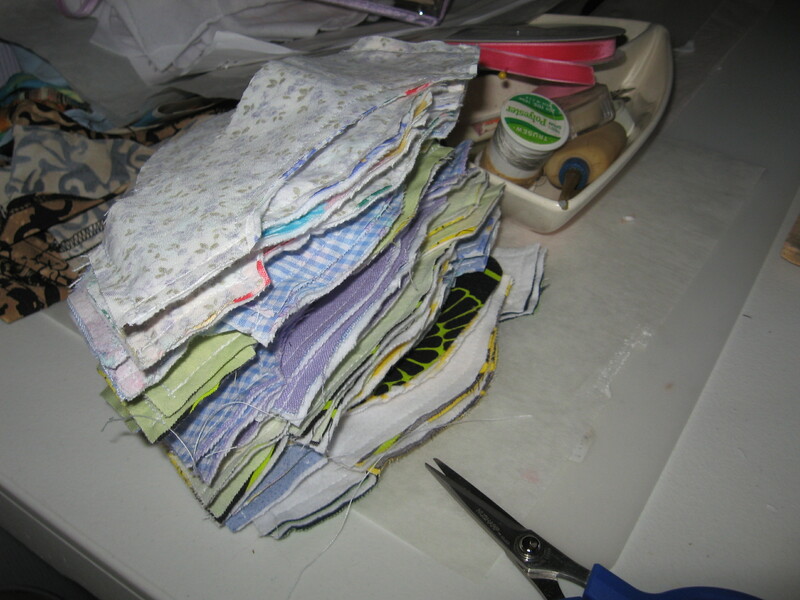 After all pieces are layered together, time to clip corners and trim seams to reduce pulling and bulk. 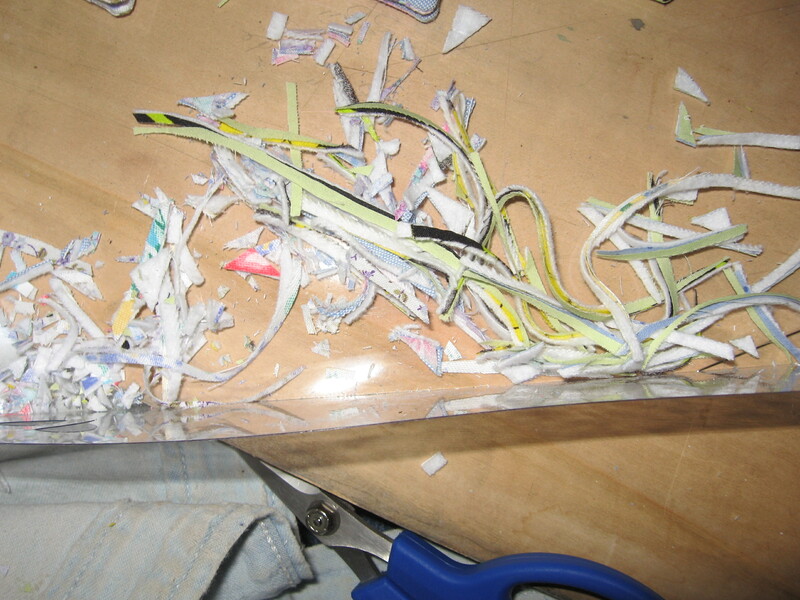 Clipping away with some very nice paper crafting scissors. 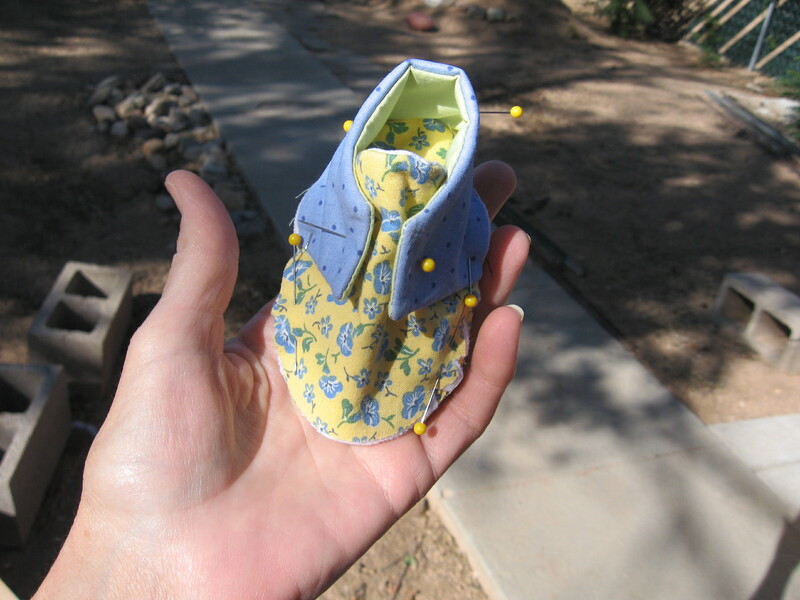 Corner work finished, time to top-stitch, add grommets and make ’em shoes..
and read “The Spooling of Two Hearts” (the birthing of Machita Ann) here. 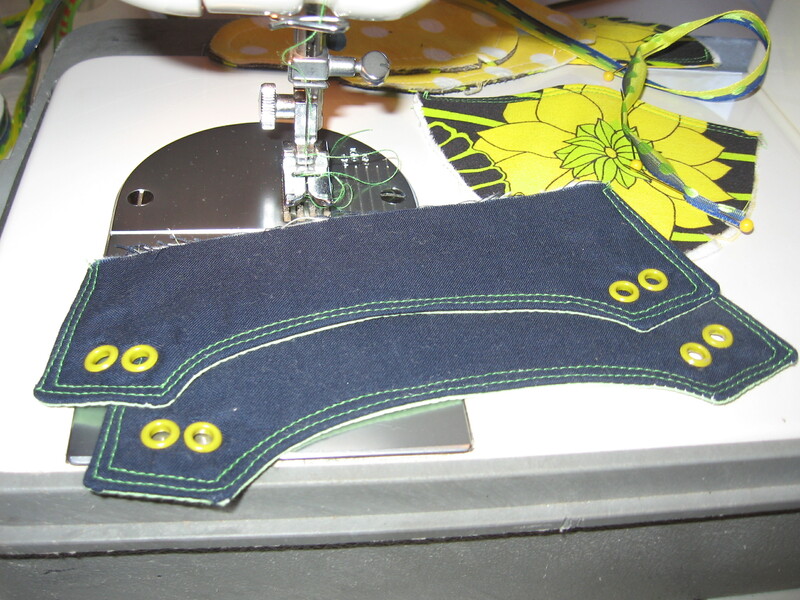 After stitching layers together, iron so seams lay flat and contours are crisp. 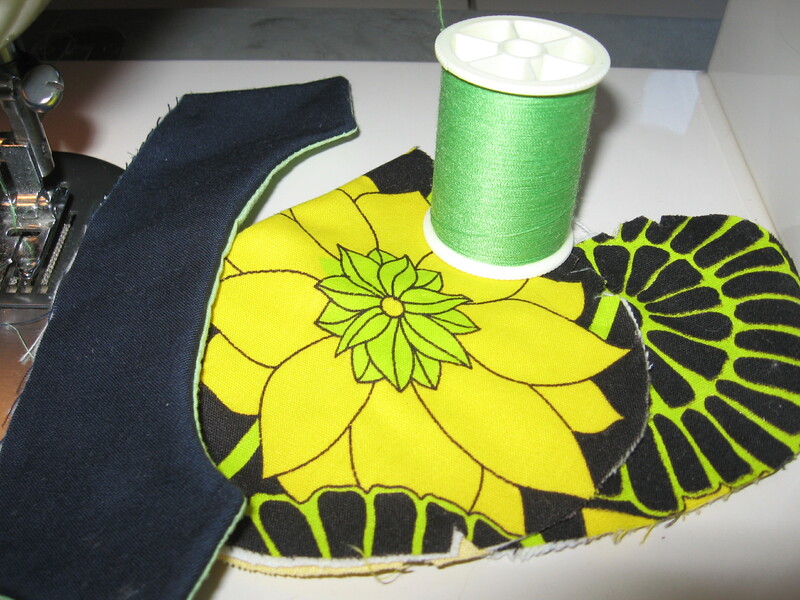 Choose complimentary color thread for top-stitch detail. 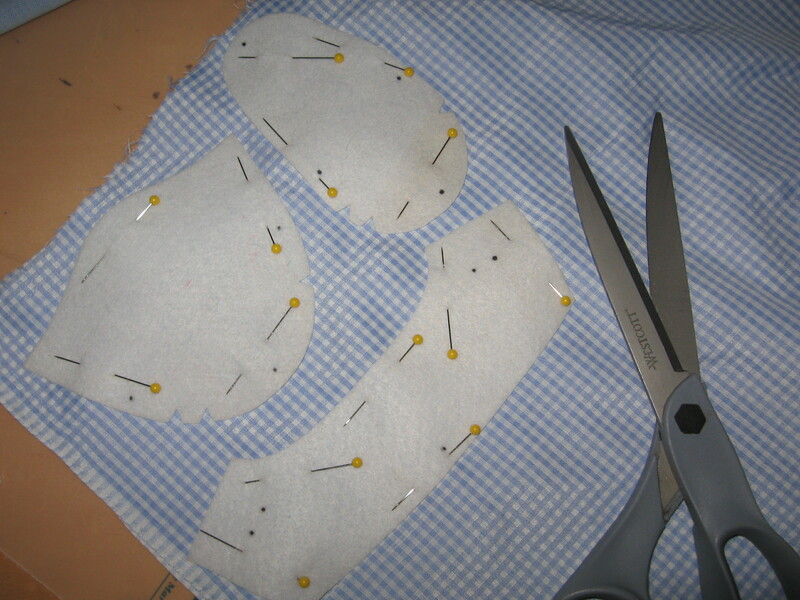 Two rows of top-stitching will be added. 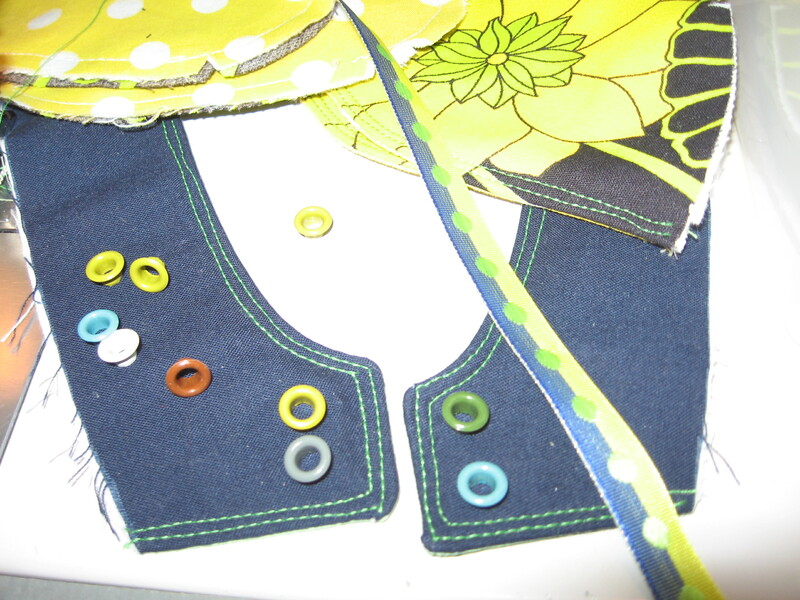 Choose color and install grommets. 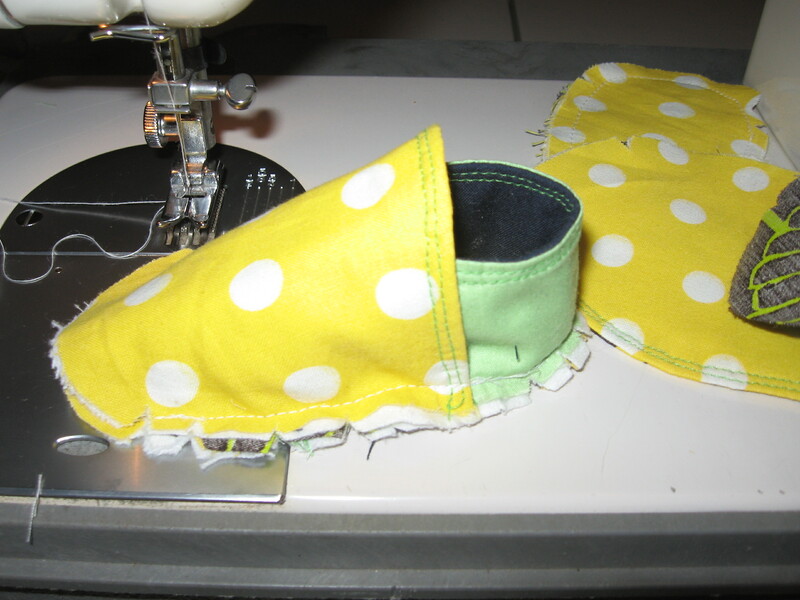 Right sides together, attach heel to sole. 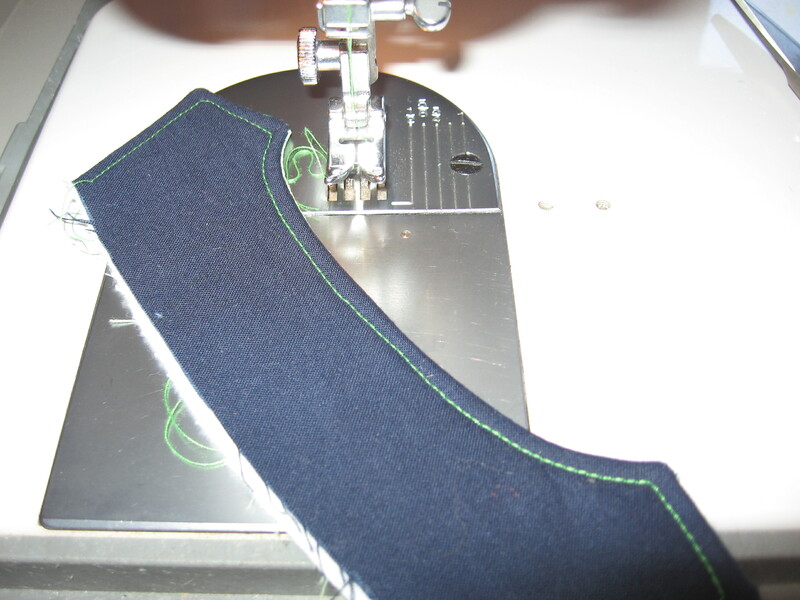 Ms. SpoolTeacher stitches a row of stay-stitching along the bottom of the heel piece and clips up to the seam so that the heel easily makes the curve of the sole, making it much easier to stitch on. 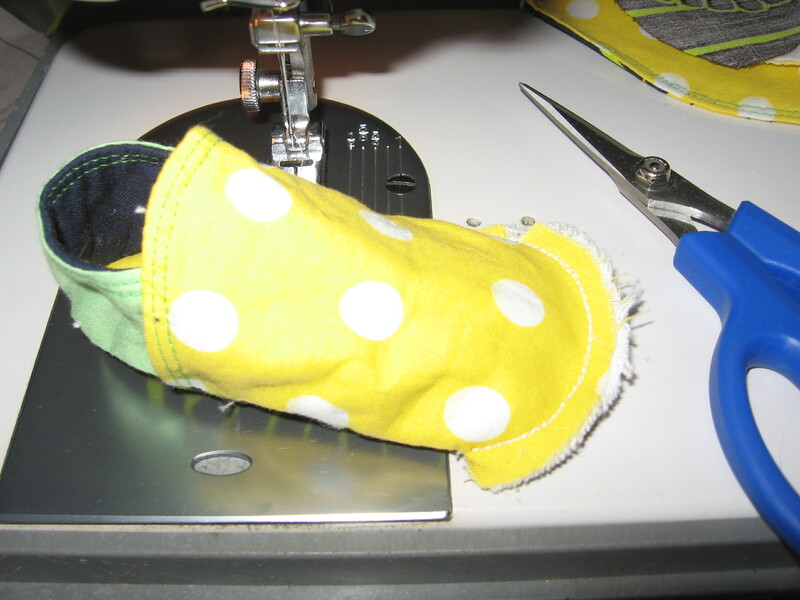 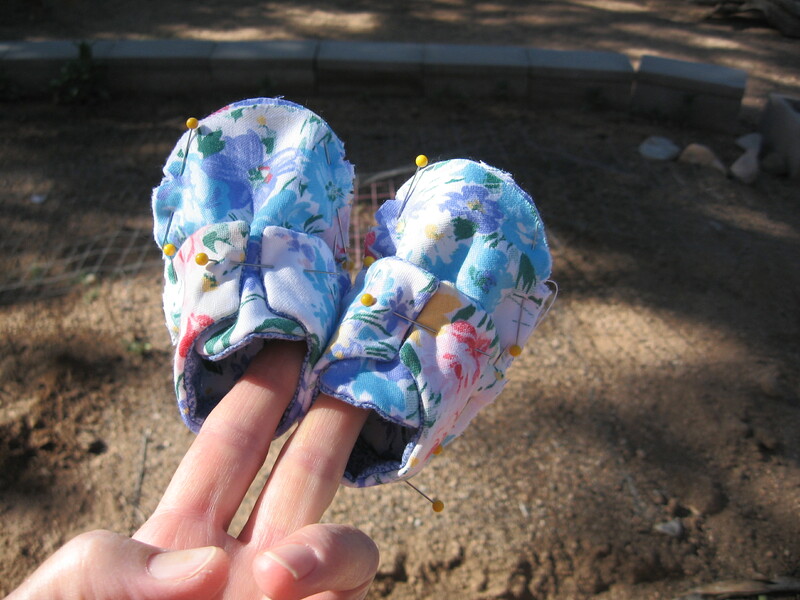 Attach toe piece, overlapping the heal section and leave open the toe for turning later. 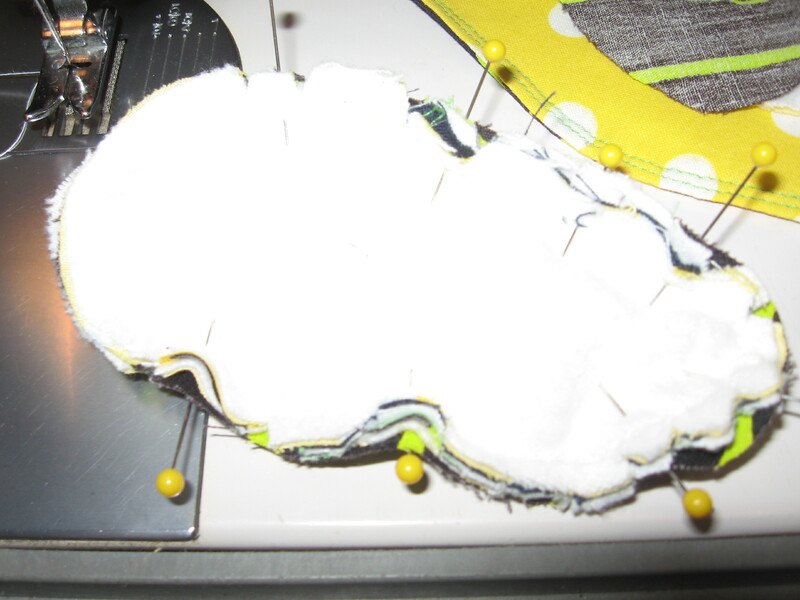 Add the inside “sole” piece right side facing and over all of the other constructed pieces and stitch, leaving toe open again. 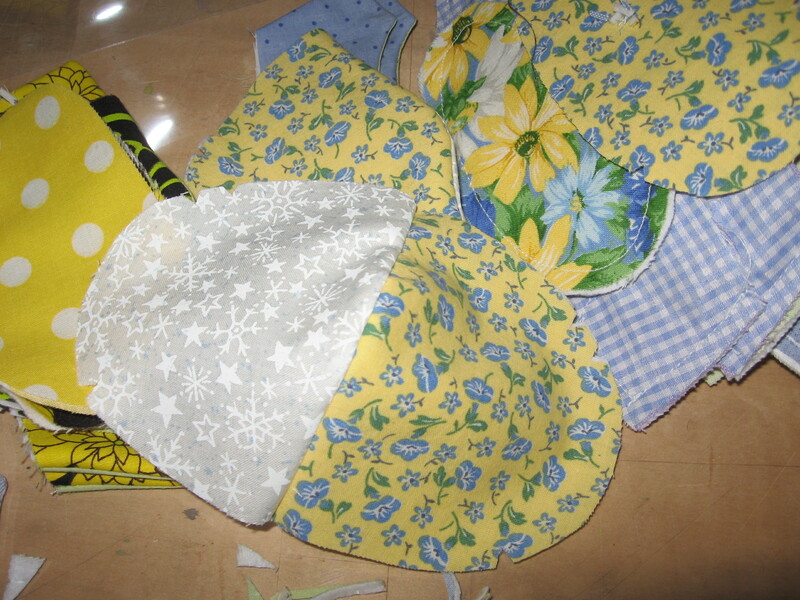 The flannel will be inside once it is all stitched together and turned, right sides out. 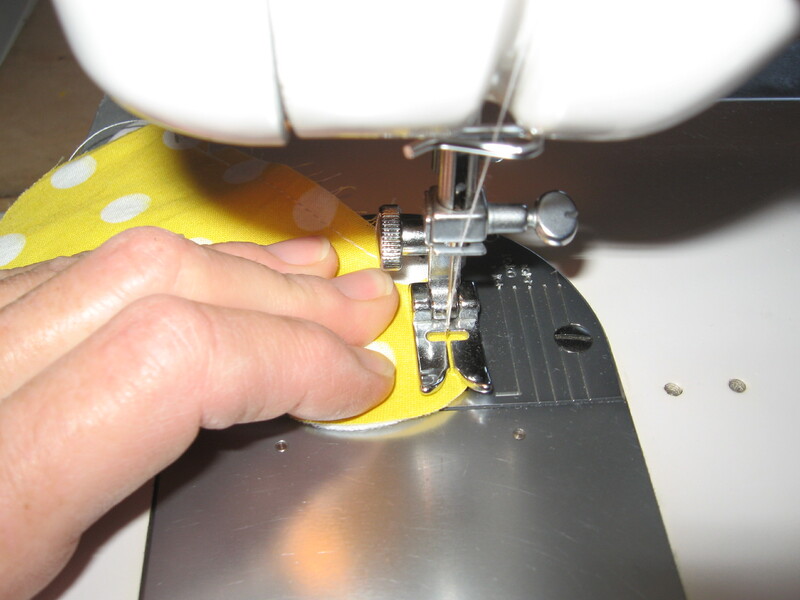 Turn it all right sides out and then turn it so that you are inside the shoe to do the final toe closure. 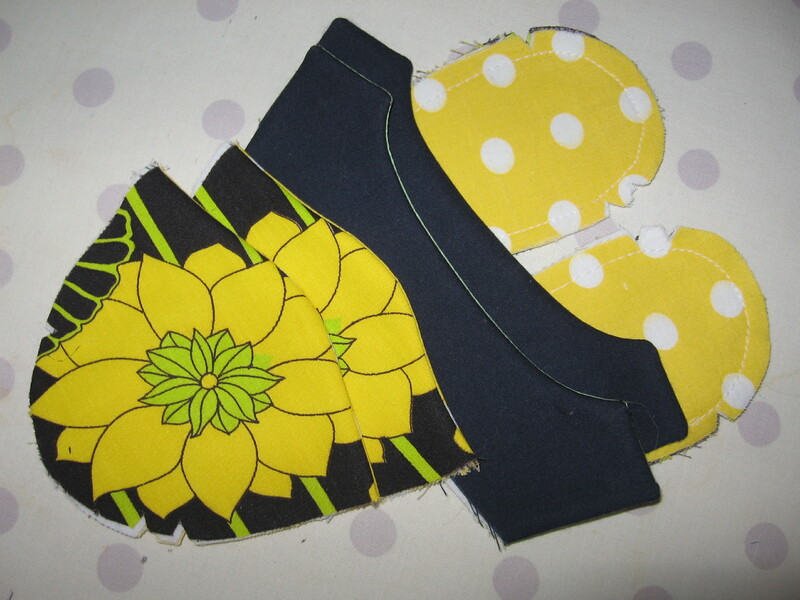 Stitch toe sections closed and then turn altogether, right sides out. 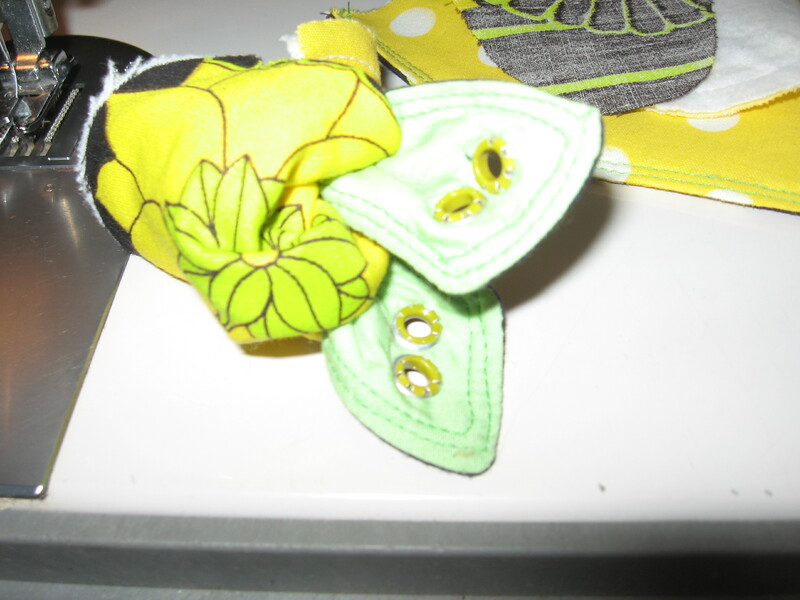 Clip curve, trim seam and clip corners. 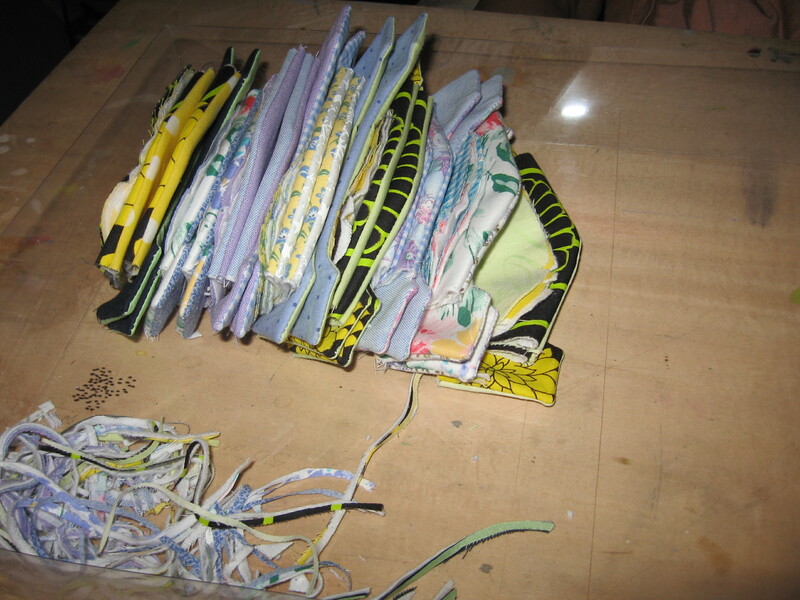 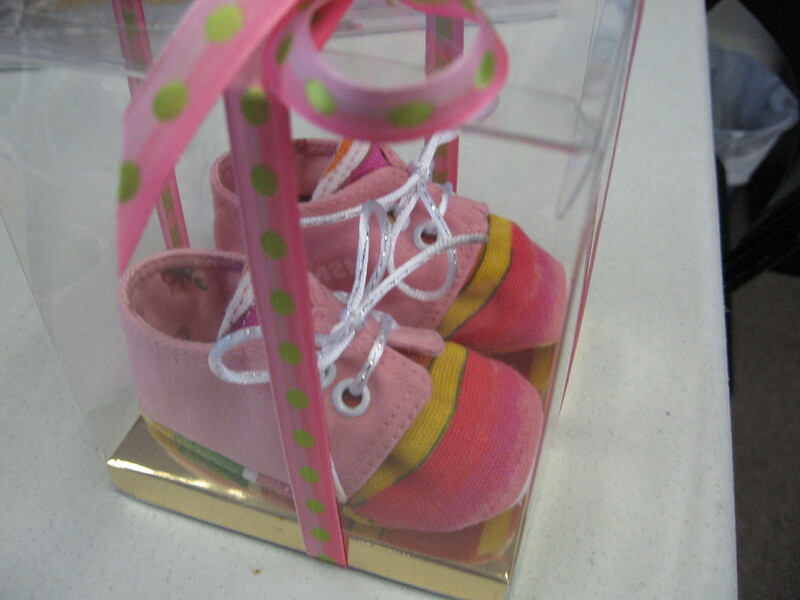 Ribbon is folded in half and stitched together to give a two-toned lace for tying shoes closed through . 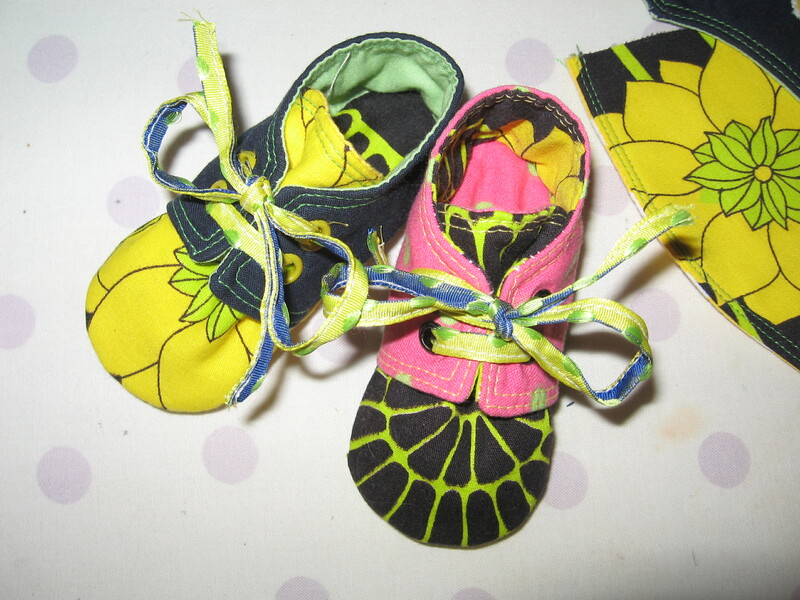 One shoe complete, one to go. 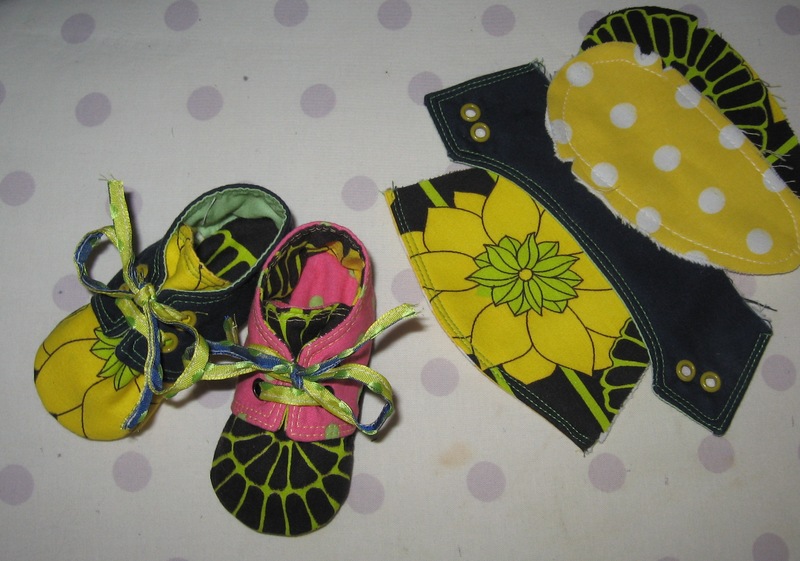 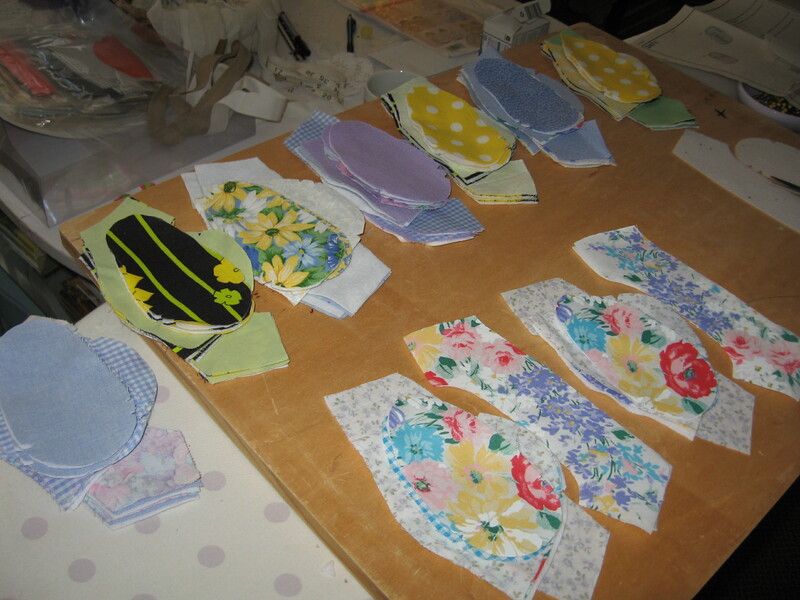 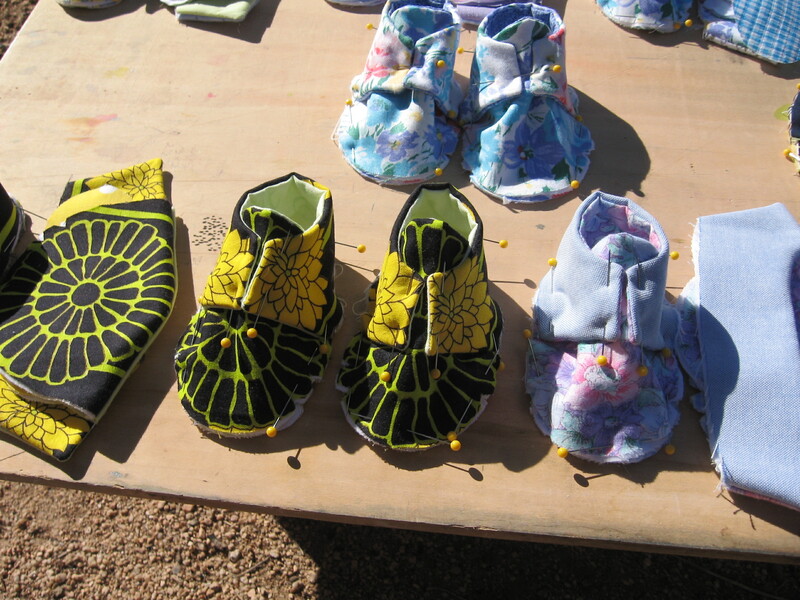 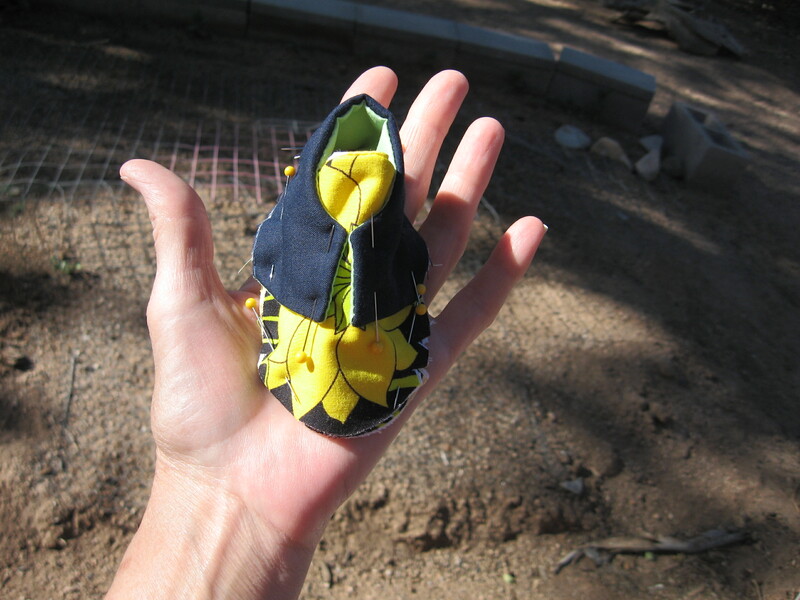 The same fabric was used for both pairs of shoes, different sections of the print in different pieces of each shoe and then complimentary flaps.